A province with its local dialects who can become unintelligible within 10 kilometres. 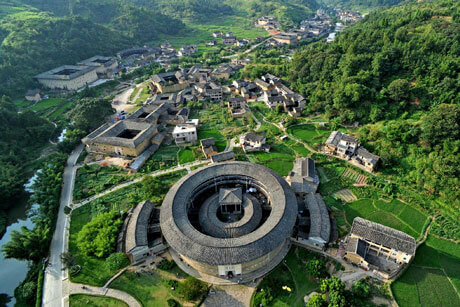 Fujian (福建) is one of the most culturally and linguistically diverse provinces in China. 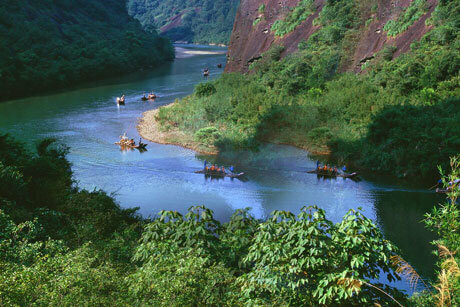 Fujian is a province on the southeast coast of mainland China. Fujian is bordered by Zhejiang to the north, Jiangxi to the west, Guangdong to the south, and the Taiwan Strait to the east. While its population is chiefly of Han origin, it is one of the most culturally and linguistically diverse provinces in China. 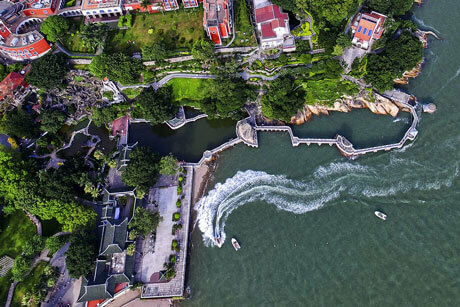 Gulangyu or Kulangsu is a pedestrian-only island off the coast of Xiamen,also a UNESCO World Cultural Heritage Site. The spread of Christianity in 1900s brought western music to the island. Churches and museums were built, and people enjoyed going to music halls to hear performances. 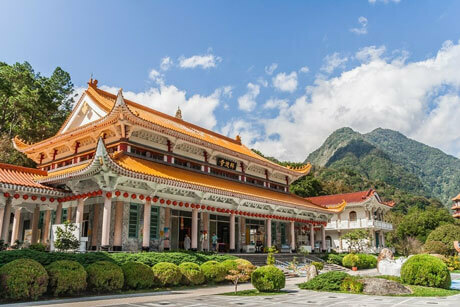 Since then, the island's local cultural environment mingled with introduced foreign music and art, which is why the Gulangyu cultural scene differs from other parts of China. 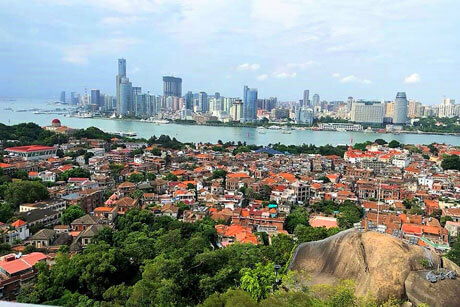 This tour covers many famous sightseeings in Xiamen, such as Gulangyu Iset, Hulishan Old Fortress, Nanputuo Temple, Jimei School Village etc. Have a nice trip to Xiamen and Wuyi Mountain. 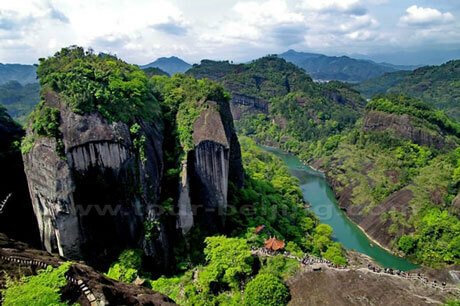 You will enjoy the beautiful scenery of Wuyi Mountain. Day 1: take a ferry to Gulangyu Islet, visit Shuzhuang Garden and Hi-Heaven Villa; Day 2: go to Tulou; Day 3: back to Xiamen and tour along the Ring Road. 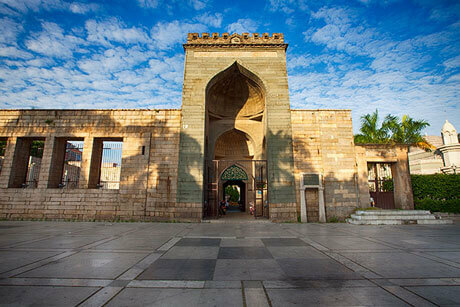 Day 1: Xiamen to Quanzhou, enjoy shopping in Tumen Street. Day 2: Quanzhou to Dadeng, enjoy shopping in Dadeng Trading Market; Day 3: After breakfast, visit Gulangyu, Shuzhuang Garden etc. After lunch, visit Xiamen University, Hulishan Fortress etc. Day 1: Beijing to Wuyi; Day 2 & Day 3: Wuyi Mountain; Day 4: Wuyi Moutain-Xiamen-Nanjing-Yongding; Day 5: Yongding-Xiamen; Day 6 & Day 7: Xiamen.